Great graphics. Challenging. Totally frustrating when I don’t win! That tells me it’s good. Let the fun and competition begin. 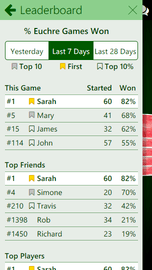 Play the games you love with friends and family or get matched with other live players at your level. 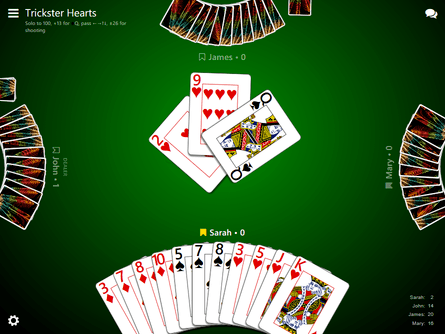 Trickster Cards offers customizable rules so you can play cards your way! Select “Play” and Trickster Cards finds other players based on skill and speed. Get started without waiting — other players join as they’re ready. After the game, “Play Again” keeps you playing with the same players. Play together — even when you’re apart. 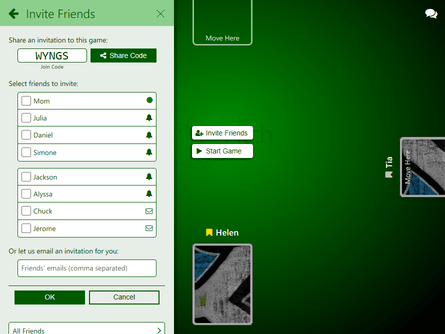 Select “Join” and Trickster Cards helps you invite friends and family to a game. Turn on notifications to hear about friends’ games anytime. 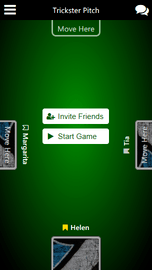 Now game night lives on wherever you are. 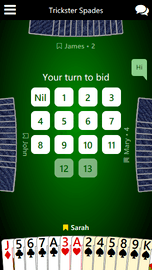 Enjoy Spades, Euchre, Hearts, Pitch, Bid Whist, Oh Hell, 500, or try our preview version of Contract Bridge. Trickster Cards supports them all with customizable rules to play the way you want to play. Have an iPhone, but your friends are on Android? No problem. 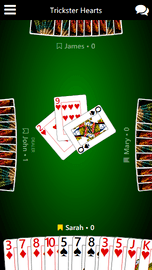 Trickster Cards works on more devices so you and your friends can play where you want, when you want, with whom you want. 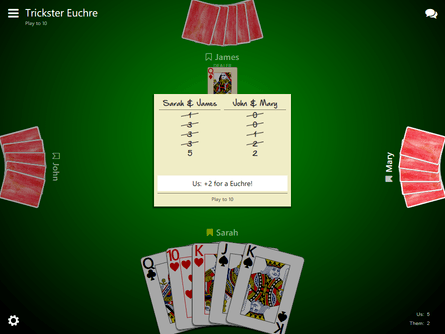 Best Euchre game I’ve found. The best multiplayer Hearts game if you want to play with friends. I think I’ve tried every 10-point Pitch game available. This one is my favorite! Best looking, best gameplay, best price. 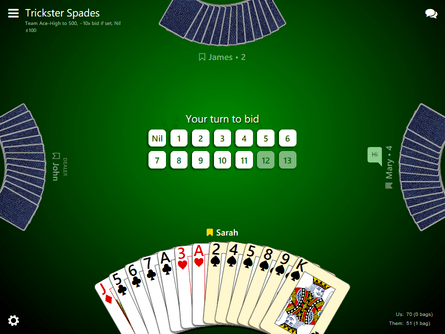 I’ve tried them all and this is hands-down the best multiplayer Spades app.